Is Volunteering only for the Rich and the Privileged? I do not believe that Volunteering is for the Rich and Privileged. When i say this I do mean in the local sense not in jetting off to Africa to work with the poor where you need substantial funding. Most Community Development Projects and Youth Projects are originally set up by concerned citizens or parents.There is no set socioeconomic grouping that they come from. In fact in Ireland most Youth Projects and Community Development Projects are set up by people who are not rich or privileged. The majority of these people are working class and see these projects as helping the community as a hole. As with most things times are changing and professionalisation is major a obstacle now facing volunteer projects as governments introduce legislation and red tape for funding. Increased numbers of 3rd level courses in Youth Policy and Community Development (a module i myself is taking as part of my degree in Government and Public Policy in UCC). This is advantageous to many projects but can make volunteers feel uneasy as they do not have the training per se or cause many volunteers to leave projects. 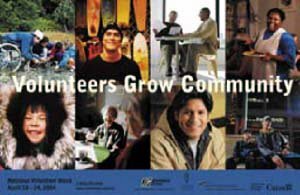 The volunteers get as sense of ownership of projects when they are working there so when professional youth workers or community development workers come in they loose out. I do not believe that volunteering is for the rich and privileged and that any can do it! Previous Previous post: Forgot to get a present for your FF or PD pal heres the answer! Next Next post: The Future of NATO?